Inspired by my previous food product amigurumi, I wanted to do a collection of toasts. 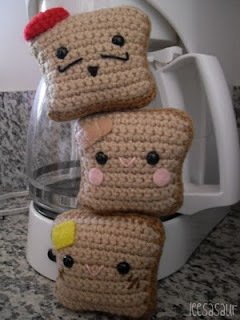 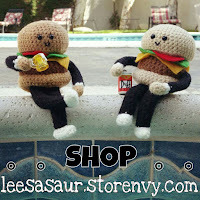 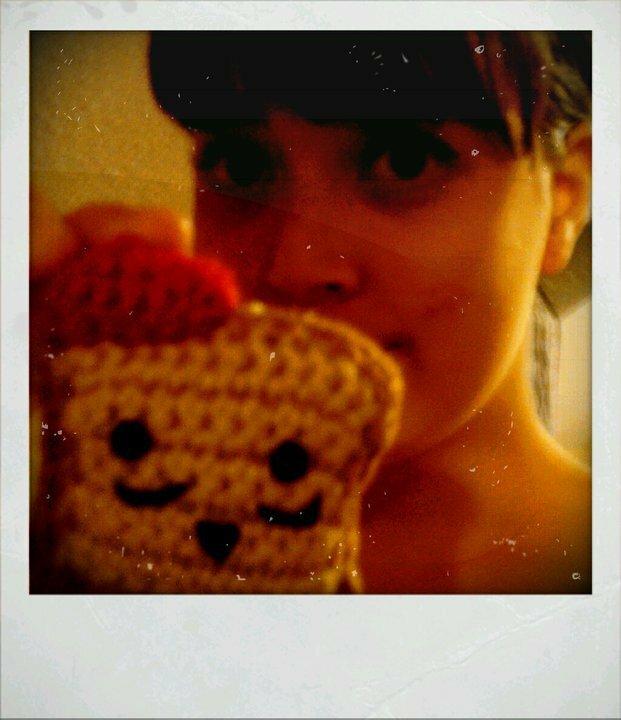 Long ago when I first opened shop on etsy, I hand sewed a felt plushie "buttered toast." 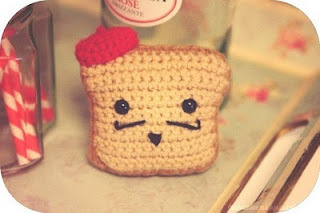 He had a slab of butter on his forehead and toasted cheeks. I decided to recreate this in crochet form, as well as incorporate my damaged toast, and the ingenious, politically incorrect "french toast." 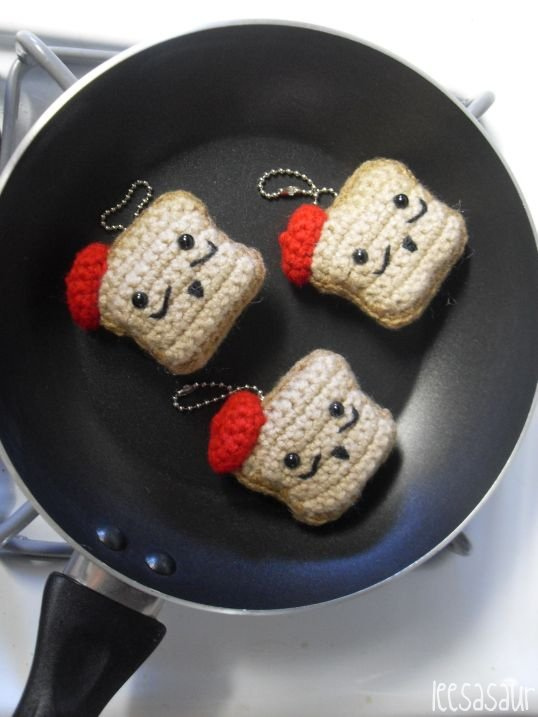 All the compliments have been geared towards the french toast, so I decided that this breakfast delight would be so fun in travel-size as well!